A vast panoramic view opening down onto the plains below Mt. Fuji and Lake Yamanaka. Mt. Fuji is the iconic peak of Japan. It is the highest mountain, reaching a whopping 3,776 meters, and holds a sacred place in the culture as well as being a timeless source of artistic inspiration. In 2013, it was added to the list of cultural World Heritage sites. 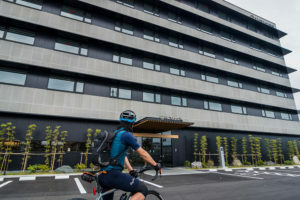 The mountain emerges between Yamanashi and Shizuoka, a popular hub for cyclists. There are five Fuji lakes on the Yamanashi side that are lively with accommodation and tourism. 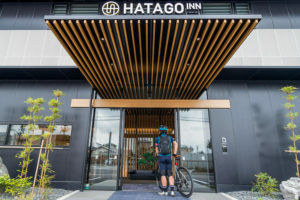 The area offers the highest mountain climb in Japan and is a famous challenge destination for cyclists. There are three routes for climbing up to the Mt. Fuji’s fifth station (the highest point of the paved road). The first is the Fuji Subaru Line on the Yamanashi side. Thousands of amateur riders gather here every year for the largest hill climb race event. It spines up the northern side of Mt. Fuji for a total of 25km at an average 5.2% gradient. The peak slope is a raucous 7.8%. 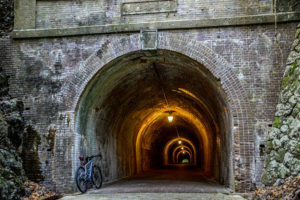 The second path is the Fuji Azami line, often called the “Tour of Japan, Fuji Edition” on the eastern side of the Yamanashi edge. It runs along 11.4km with an average slope of 5.2% and peak slope at a heart-racing 22%. 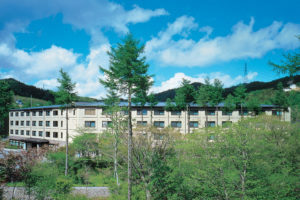 The third route is the Mt. Fuji Skyline on the southern Shizuoka side of Mt. Fuji. Home to the “King of the Mt. 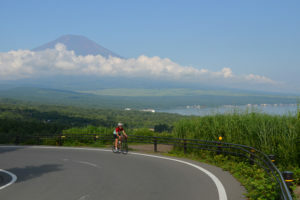 Fuji Hill Climb” race, it spans 26.5km over an average 6.9% slope. It’s highest hills come to 10.5%. Hill climbs are just the tip of cycling paths to enjoy along the Mt. Fuji landscape. 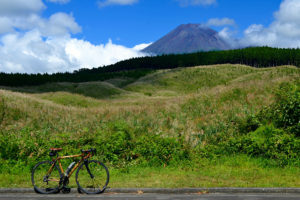 Ride through the five Fuji lakes and off-the-beaten path backroads. 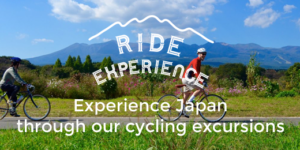 The region appeals to both beginners and experienced riders alike. This road along a Lake Yamanaka is kept in good condition. Ride along the coast and cast your eyes beyond the lake to Mt. Fuji. When the skies are clear, Mt. Fuji’s reflection is visible in the lake mirage. At the foot of the western slopes of Mt. Fuji lies an enchanted world of moss. Ride through Aokigahara Jukai and be bewitched. Another gem on the western face of Mt. Fuji is a refreshing downhill ride. Look across the grandiose peak to your left, and the plains afoot below. Traffic can build on the national routes, but sneak away on a country road for tranquil views.